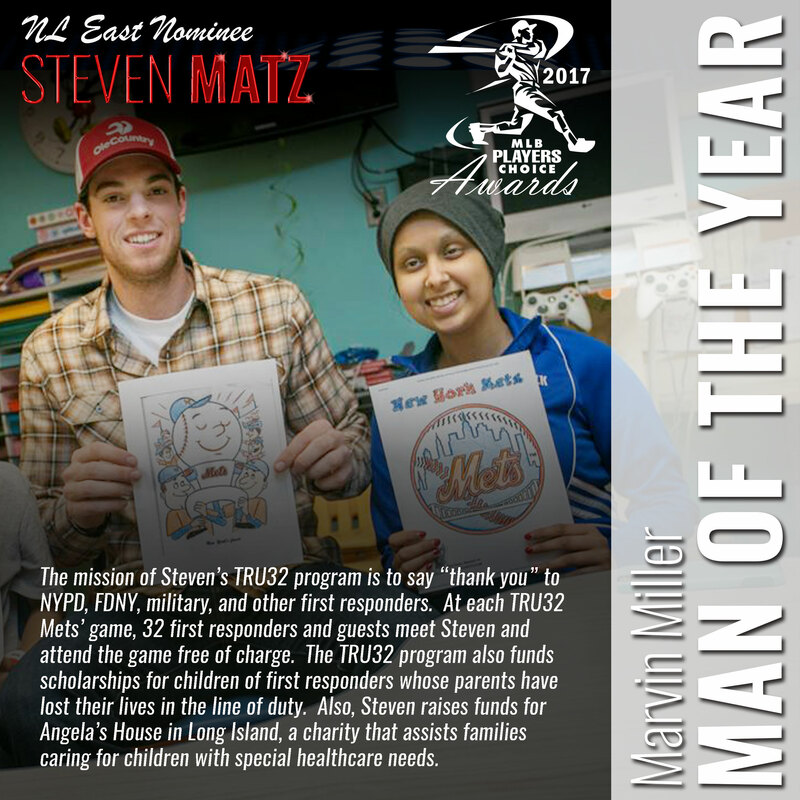 New York, NY, Monday, September 18, 2017 /3BL Media/ - Thousands of baseball fans participated in a poll on MLBPlayers.com between September 12 and 17 to determine which players inspire others to higher levels of achievement by their on-field performances and contributions to their communities. 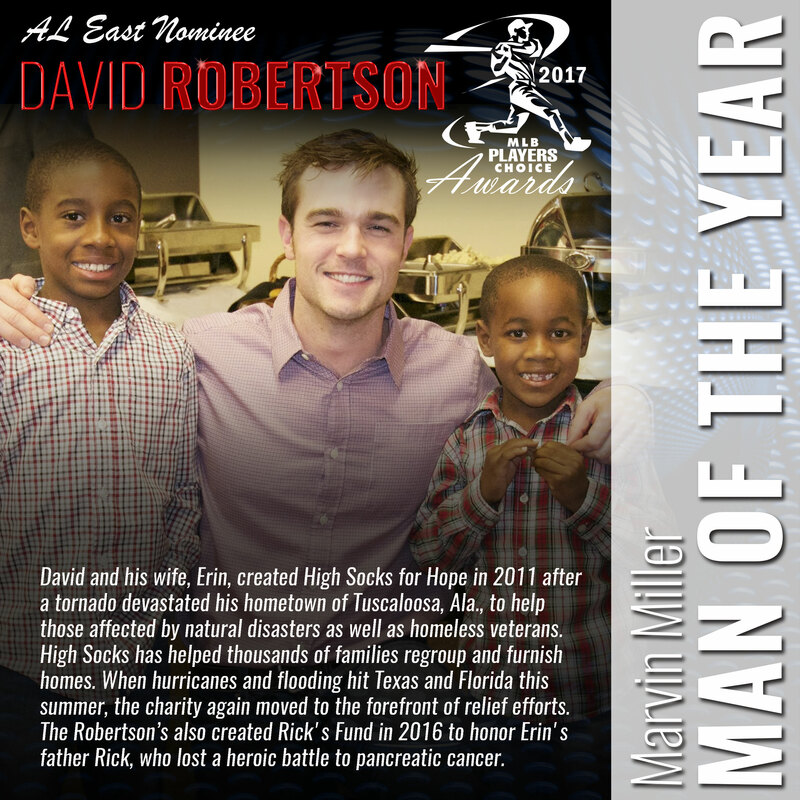 From this list of 30 players, David Robertson (New York Yankees) was tabbed to represent the AL East, Eduardo Escobar (Minnesota Twins) the AL Central, Mike Trout (L.A. Angels) the AL West, Steven Matz (New York Mets) the NL East, Anthony Rizzo (Chicago Cubs) the NL Central and Buster Posey (SF Giants) the NL West. 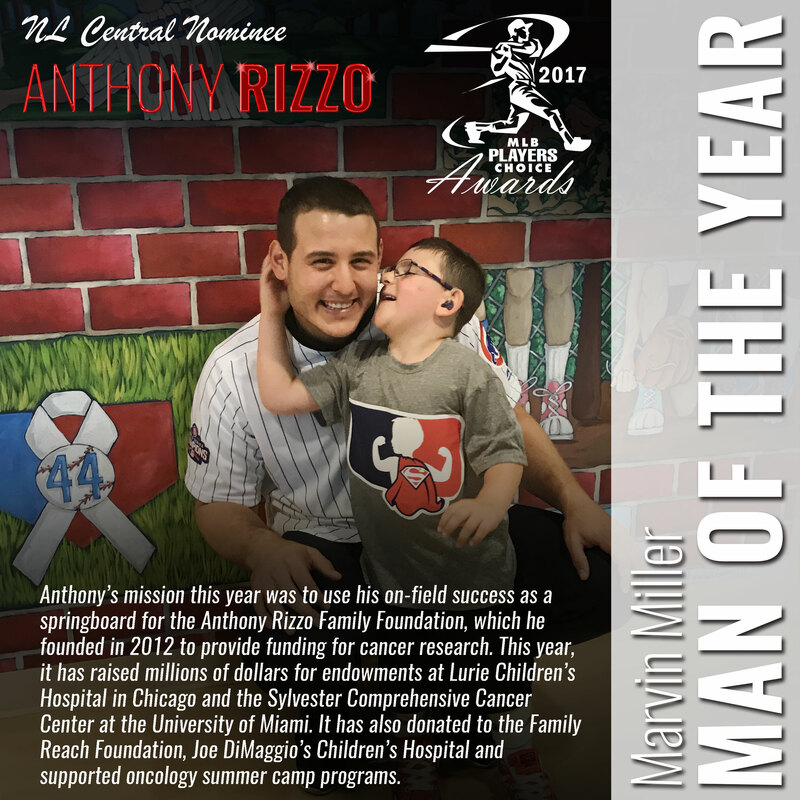 These six players will have their names placed on the 2017 Players Choice Awards ballot to determine this season’s Marvin Miller Man of the Year award winner. 2017 Players Choice Awards ballots will be distributed to all Major League players on Tuesday, September 19, when the accounting firm of KPMG conducts the league-wide, players-only voting. Winners will be announced in November. 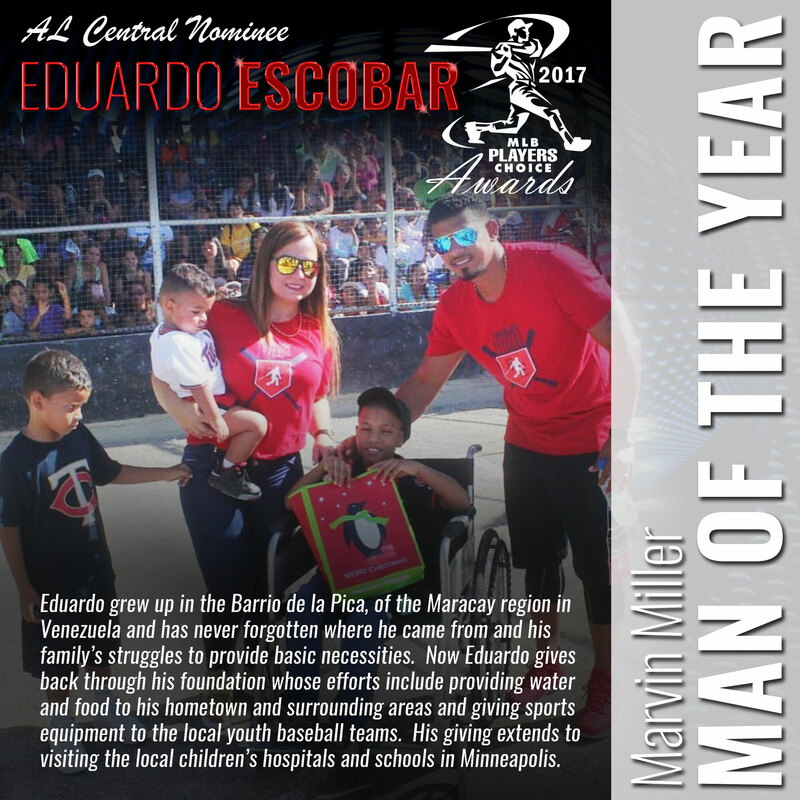 The 2017 Players Choice Awards also honor the outstanding player, rookie, pitcher and comeback player in each league, as well as the overall Player of the Year. 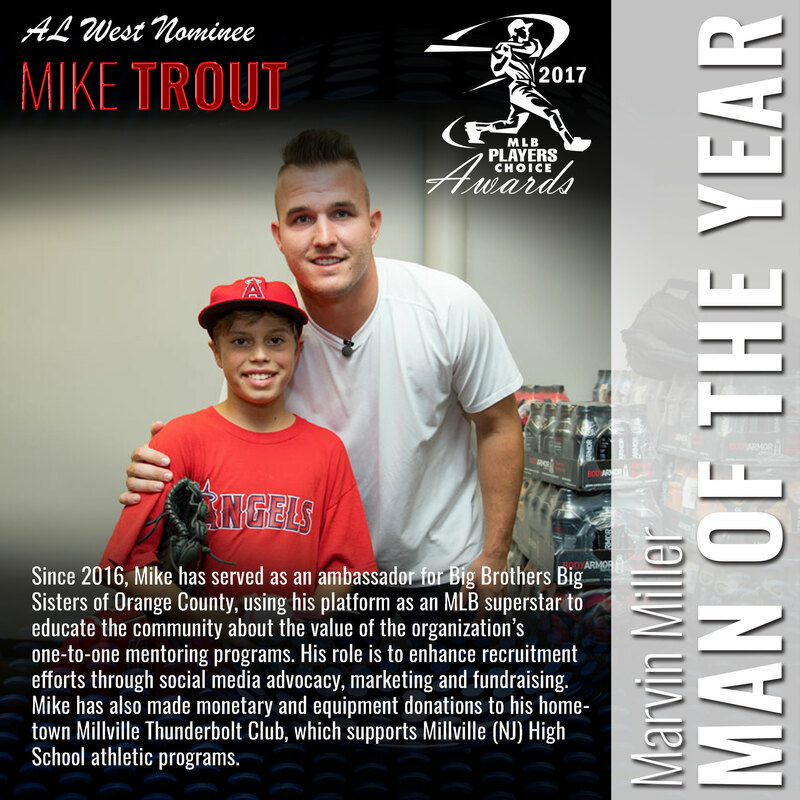 2017 Players Choice Award winners in all categories will designate charities to receive grants totaling $260,000 (including a $50,000 charitable contribution on behalf of the Man of the Year winner) from the Major League Baseball Players Trust. 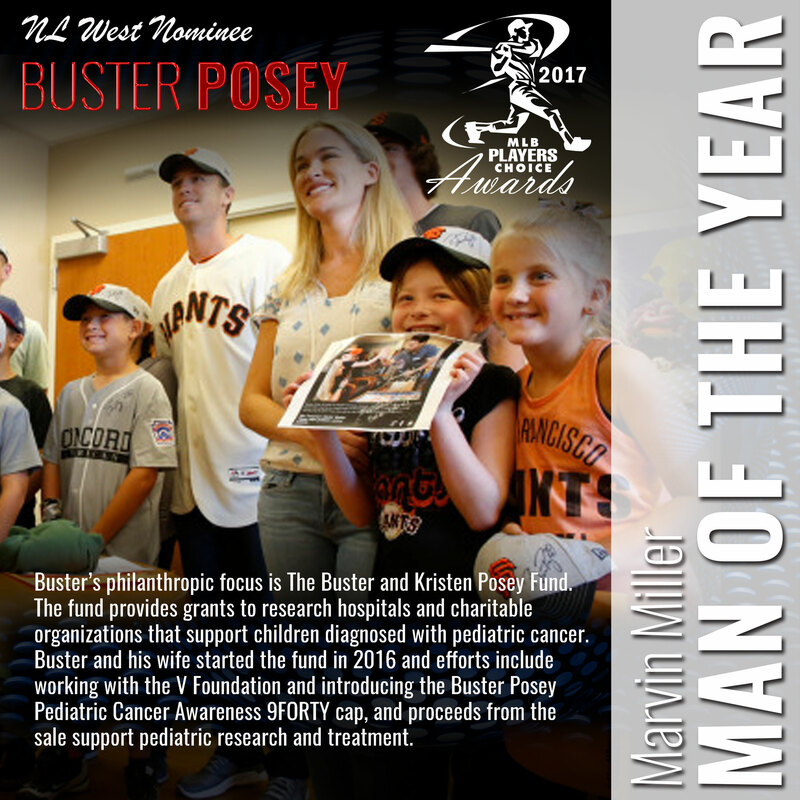 The Players Trust has recognized the outstanding on-field and off-field performances of Players Choice Awards winners by contributing more than $4 million to charities around the world. Continue reading in our Press Room.